Disclosure: Post sponsored by Sweetie Pie Organics but all opinions are my own. 10.5 Months, Elyse and I have made it over 9 months of nursing. We have now passed how long Collin nursed! And it was touch and go there for a bit because of the pain I was having prior to her double frenectomy but since that happened, we have been pain free and somewhat smooth sailing. But one thing that happens around 9 months for most babies, THEY START EATING MORE SOLID FOODS. And when that happens, mommas milk supply can take a dive. Mine has been. I am actually concerned that Elyse is enjoying eating table foods more than nursing, since she is so easily distracted with the boys around. 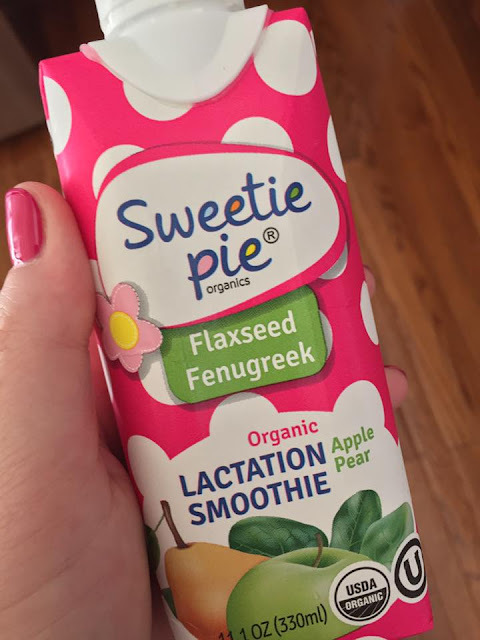 ENTER SWEETIE PIE LACTATION SMOOTHIES! I started drinking these a month and a half ago and I have been pretty diligent in drinking 1 per day. My special smoothie, no kids allowed since Collin wants to eat whatever I am eating. And I have noticed a good increase in my nursing abilities. Elyse is nursing for longer periods of time now, from 25 minutes up to 35 now, where she was only doing about 15 minutes before. She is getting an ample amount of milk too, whereas before, there was no let down while she was nursing. Not going to lie, I was a little worried about how it would taste. But let's talk about "The taste." I was a little scared because it was apple and pear. Thinking it would be too artificial tasting but it wasn't. It literally tasted like apple juice mixed with real pear juice. WIN! So my uber picky taste buds approved! What makes it really work to boost your milk supply? A daily dose of fenugreek and flaxseed. Both shown to help increase breast milk production naturally plus the omega-3s in the flaxseed. Results are noticeable within 24-28 hours! With key herbs to increase breast milk. Five simple ingredients that moms can understand: fenugreek for breastfeeding, flaxseed, pear puree, apple and passionfruit juices. 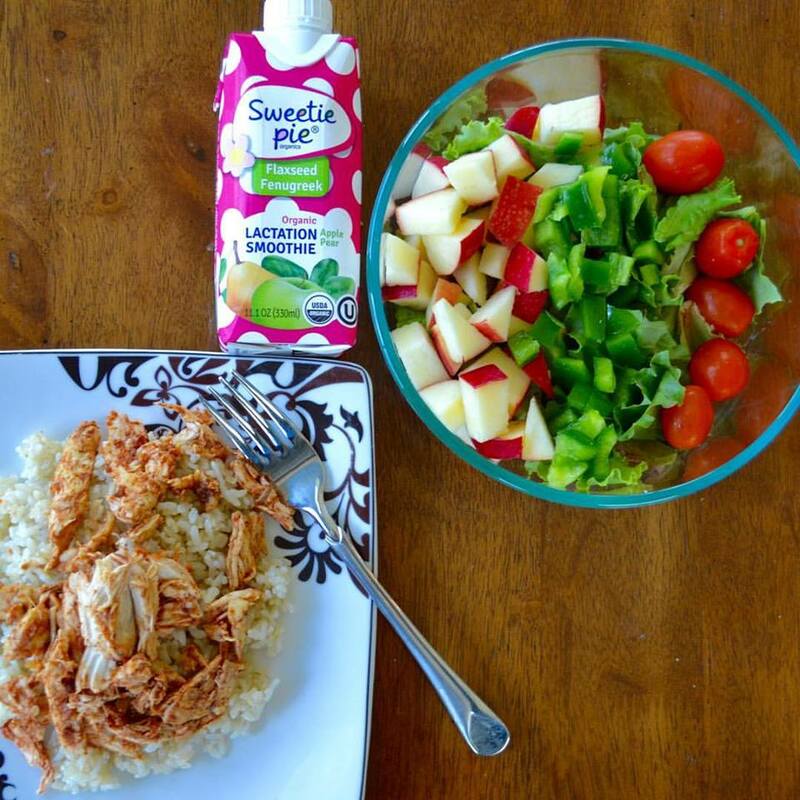 only 180 calories, no sugar added, organic, kosher, NON-GMO. READY TO GET IT AND TRY FOR YOURSELF? ORDER BELOW!